Mostly visited for – Chennai, Mamallapuram, Kanchipuram, Chidambaram, Kumbakonam, Thanjavur, Tiruchirapalli, Madurai, Rameswaram, Kanyakumari and Hill stations of Nilgiris (connected by Heritage Train up to Udhagamandalam), Kodaikanal, Yercaud and the fine beaches of Covelong and Mamallapuram. The State boasts of ideal location for Adventure activities. For Golf enthusiasts, facilities are available at Chennai, Ooty, Kodaikanal and Coimbatore. Weather - Summer: March to June, Monsoon: July to October , Winter: November to February. By Road: An extensive network of roadways covers the state. A number of national Highways and state Highways literally crisscross the land. Tamil Nadu is a culturally enriched destination known for its deep seated connection with the past. The history here testifies the existence of the Tamil heritage. The early Sangam literature classics throw light on the hoary antiquity of the region. But we get the recorded references of the region from the Pallavas, the originators of famous Dravidian culture. The south India at that time was under the dominion of the Hindu rulers like Cholas, the Pandyas, the Pallavas and the Pandyas. Pallavas ruled the region till the fourth century which was later taken over by Cholas. The later powers who asserted their right over the state were dynasties like the Chalukyas, Cholas and Pandyas after 10th century. By the 12th century, it was imperial Cholas who gained supremacy over South India. Later Muslims under Bahamani Sultanate strengthened their position in the Hindu dominated region and established their power in Dravidian region by middle of the 14th century. At the same time, the Vijayanagar Empire rose to prominence by defeating the Bahamani sultanate in an ambition of consolidating their control over the whole of South India. Vijayanagara’s victory was short lasting as their ascension of Dravidian Empire was challenged by Deccan Sultans during the battle of Talikota in 1564 where the former power was defeated. During this tumultuous political period, the Europeans like the Portuguese, the Dutch, the French and the English came in quick succession in the peninsular South India. They also came with the ambition to establish trading centres or 'Factories' and get great deals for their home countries. East India Company, the British counterpart established factory at Masulipatnam (Andhra Pradesh) in 1611 and even set its first Indian settlement in Tamil Nadu. Fort St. George (1644) was the first British fortress and later served as the headquarters of the old Madras Presidency, covering the entire southern peninsula. Post independence, the state of Madras was later reorganised, and the present Tamil Nadu was formed with other three separate states of Karnataka, Kerala and Karnataka. Geographically, the state is uniquely bestowed with contrasting colours of nature. Sharing its borders with Andhra Pradesh, Karnataka and Kerala and union territory of Pondicherry in the east, Tamil Nadu is a state rich in topographical wonders. Placed favourably near the two oceans, the Bay of Bengal to the east and the Indian Ocean to the west, Tamil Nadu is a favourable state showing sunny side of south. Here, many beaches of renown like Kanyakumari, Marina, Rameshwaram, Kovelong, Elliot bless the peninsular shoreline. In fact, the southernmost tip of Indian subcontinent and the meeting point of Arabian Sea, Indian Ocean and Bay of Bengalis located in Tamil Nadu. 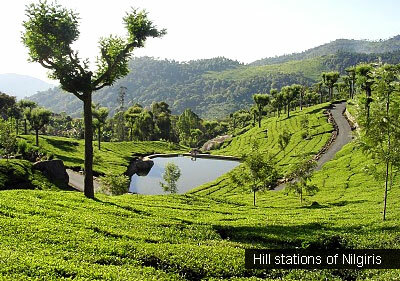 Parts of the state are hilly and rich in vegetation, resulting in the presence of many hill stations that dominate the state. Culturally, the state is an upholder of continuing Dravidian traditions. This land of Tamils is known for its distinct identity. The towering temples with artistic Gopurams, heritage forts, and palaces illustrate the cultural roots of Tamil Nadu. Mahabalipuram, Madurai, Thanjavur, Trichy, Chidambaram, Rameshwaram, etc are some of the most famous temple cities in Tamil Nadu. 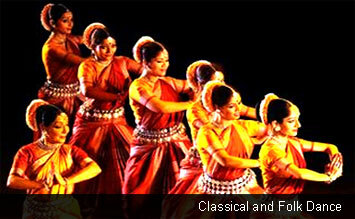 Dance is also a prominent cultural attraction featuring a number of classical and folk dance forms. Bharatanatyam, Mayilattam, Kavadiyattam, Bommalattam, Kummi, Kasi Silambu Attam, Karagattam, Kolattam, Oyil Kummi, Thappattam, Kawadiattam are some of the prominent dance forms here. The Carnatic music tradition is also followed here with great adherence wherein the legacy of learning Veena, Violin, Mridangam, Nadhaswaram, Flute, Ghatma are followed with great zeal. Festivals – The colour and pageantry of festivals of Tamil Nadu, music, dance and drama form an integral part of life. It still maintains the purity of tradition and sanctity. Pongal, Harvest Festival (Jan), Thyagarajar Aradhana, near Thanjavur, Arupathumoovar Festival, Mylapore (March), Chithirai Festival, Madurai (Apr-May), Velankanni Festival celebrated (Aug), Dussehra Festival (Sept-Oct), Karthigai Deepam Festival, Tiruvannamalai (Dec), Chennai Sangamam, Dance and Music Festival, Chennai and Mamallapuram Dance Festival also celebrated in December and January. Eat – Idli Sambhar, Dosai, Vada, Pongal (A mixture of rice and lentils), Uppuma, Coconut Chutney, Milaga Podi, Rasam, Payasam, Adhirasam, Murukku, Kancheepuram Idlis, Vatral Kuzhambu, Chettinadu Pepper Chicken, Filter Coffee, Appalam, Vadam. Buy – The state has an age old tradition of encouraging, appreciating and getting noticed for its Art and Craft treasure. Hand Woven Silk and Cotton, Stone Sculpture and carving, Tanjore Paintings, Bronze and Brass casting, Pottery Making, Pattamadai Mats, Bamboo basket weaving. Hotels – The state, being the center of second largest tourism industry in India offers plentiful hospitality options to every tourist ranging from five star, ecotels, beach resorts to budget accommodation.